Update 5/18/18 - Please Note: This year’s workshop is sold out, but we will have the full workshop available in 2019. Subscribe to our mailing list or join our Facebook group to be notified as soon as it is announced! This trip is a Scouting Mission, which means that I’m taking a handful of guests along on my first trip (second trip in this case) to a destination that I’m scouting for future workshops. Read more details here about what you can expect from a scouting mission and how it differs from my other photography workshops & tours. Note: Portions of this trip will be done on motorcycles. Experience and competency in riding motorcycles is a requirement for participation on this trip. Well off the tourist trail, but home to its most spectacular landscapes, the far north of Vietnam is an adventurous travel photographer’s paradise. Terraced rice fields trace the land’s contours transforming lush mountains and canyons into living topographic maps. Opportunities for portfolio-worthy images abound here but dramatic landscapes are just the beginning of what this rugged territory has to offer. 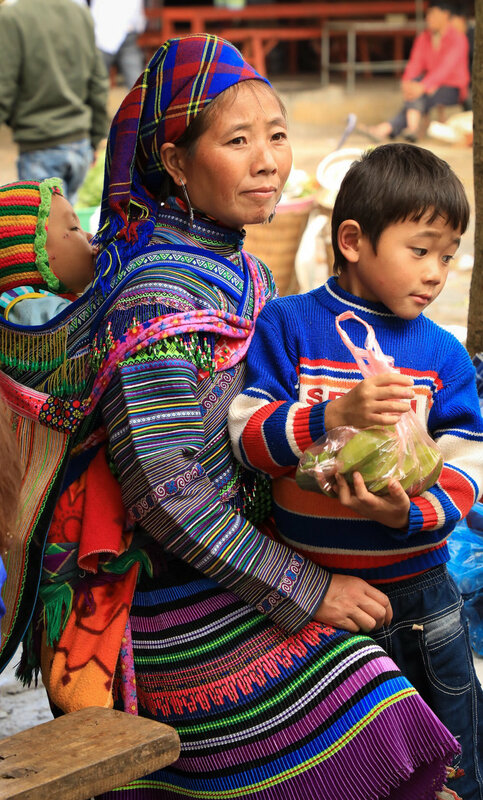 The bulk of Vietnam’s intriguing ethnic minority groups are also concentrated in the north. Red Dao, Black Tay, Flower Hmong…these unique subcultures bear names as colorful and distinctive as their elaborate traditional attire. We will meet and photograph members of these groups throughout our journey --tending their crops in fields, gathered in marketplaces and inside their homes, sharing meals as part of rural homestays. Northern Vietnam's coastline is almost as impressive at its mountainous interior. So we’ll conclude our travels in this region with two days aboard ship, sailing through tranquil seas photographing seascapes, the fishing culture and the iconic rock formations known as karsts. Halong Bay is neither unknown nor uncrowded, but spending a night on the water will help us reach the less visited portions of the bay. 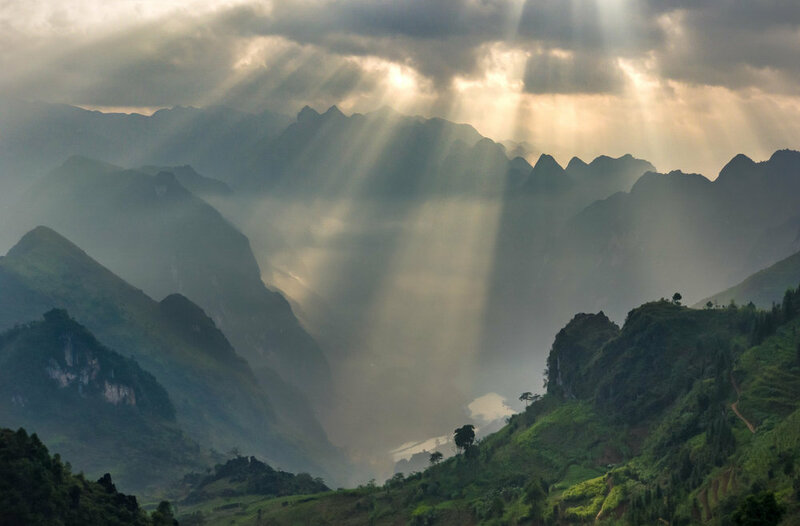 If you don't want to go home without a taste of what the rest of the country has to offer, join us for an optional 6-day extension to Central & South Vietnam. Beautiful beaches, fabulous food, floating villages and endless opportunities for street photography are just a few of the attractions of places like Hue, Hoi An and Ho Chi Minh City (Saigon). Highlights: Hanoi, Mu Cang Chai, Sapa, Bai Tu Long (Halong Bay), spectacular rice terraces, majestic mountains, stunning seascapes, colorful ethnic minorities. What's Not Included: Travel to/from Vietnam, Vietnam Tourist Visa, Alcoholic Beverages, Gratuities, Personal Expenses, anything not listed as included.